Product prices and availability are accurate as of 2019-04-12 05:22:57 UTC and are subject to change. Any price and availability information displayed on http://www.amazon.com/ at the time of purchase will apply to the purchase of this product. 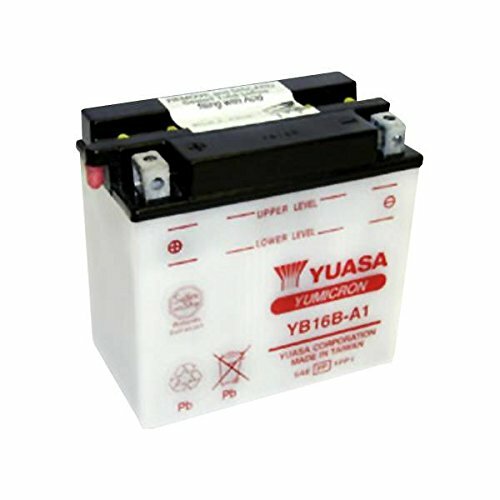 The Yuasa YuMicron gives you a powerful advantage. Its high technology separators allow two extra plates per cell to be installed, for a 30% improvement in cranking performance. The Power Advantage This added power is an outstanding benefit for heavily accessorized machines or high compression engines. Its high cranking power is also a real bonus for easier starting. 12 Volt dry battery intended for more recent applications. Acid is not included and battery must be charged prior to installation. Delivers up to 30% more power (cranking amps) than standard batteries due to the extra plates inside. May need periodic refilling. Includes 1-year manufacturer's warranty.